A battery-operated card shuffler: Whether your grandmother constantly beatsyou at gin rummy or you are teaching a nephew how to play war, an automatic card shuffler both speeds up the process and helpsindividuals who have a lower dexterity level. A toothpaste dispenser: For family members who struggle with fine motor skills, sometimes a toothpaste dispenser is a godsend. Taking the cap off and putting it back on can be challenging or even painful. This dispenser is easy to install in a bathroom and is extremely useful. Wheelchair cushions: The wrong wheelchair cushion can cause serious health issues, and no one style is perfect for every person. This gift should definitely be given when the chair user is present so they can pick the one they're most comfortable in. If you want to guarantee your gift is used, this is the way to go! 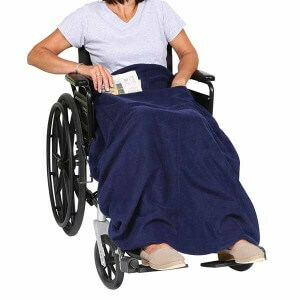 Wheelchair blanket: Wheelchair blankets differ from standard blankets because they have Velcro straps built in to secure around the legs or to the wheelchair so they don't get caught in or under the wheels. Chair users often get cold legs and feet from lack of blood flow, so items like this and warm slip-on boots make a big difference. A grabber: Many companies make grabbers, so some research should be done to decide what length and style works best for your family member. Essentially, a grabber extends your reach, so from a seated position, it could be used to reach lighter objects on high shelves or to retrieve something if it is dropped on the floor. 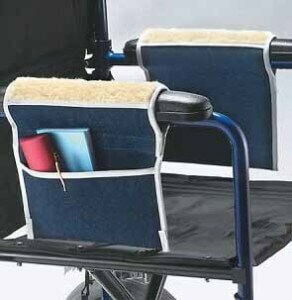 This helps wheelchair users gain some independence back for a very low cost. Wheelchair accessories: As far as additional chair accessories, the options are almost boundless. There's everything from bags to help carry essentials, to cup holders, to desktops that can be removed when not in use. Something kids especially tend to like are wheel guards that depict scenes from a favorite Marvel or Disney movie or add a little flair to the chair with flames or glitter. 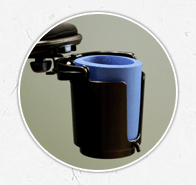 Pan holders: Pan holders mount to the surface of a stove top and hold a pan handle in place so the user can stir with one hand without spinning it; it's perfect for the cooking enthusiast or the occasional kitchen dweller. It's also helpful if you have kids helping in the kitchen! Heated or massage cushion: Let's face it-everyone would love one of these for Christmas, but for the chair user, it can be especially nice to relieve tension in the lumbar region of the back. Tablet: Tablets make a great gift for kids from ages 2 to 90! The joy of tablets is that they can do so much and are light and compact for travel. Keep all your games in one place, check email on the go, or store pictures of your family to show friends. They even make tablet holders for easy reading. This gift would be sure to be a hit with any wheelchair user for Christmas! Accessible vehicles: You've seen the commercials with a Lexus in the driveway topped with a huge bow? Why not a wheelchair van? Maybe that's a stretch, but it would truly betheultimate mobility gift. Now this decision is a serious undertaking, but there are lots of grants and funds available to help with vehicle affordability, and BraunAbility Finance has a proven track record of providing the best rates over lending competitors. Whatever you choose to give your friends and family this holiday season, we hope your families are happy and healthy. BraunAbility would like to offer our sincerest gratitude for yourcontinued support of our family. Merry Christmas, everyone!